Okay you jack asses. We need to fight. Because starting this year the Lenovo Yoga Thinkpad X1 – Lenovo’s 360-hinge version of the practically perfect X1 Carbon, is dropping the very light and durable all carbon fibre body and replacing it with heavier and lamer aluminium. And you arseholes are to blame. According to Lenovo the decision to take a major step backward in laptop design was due to consumer demand. 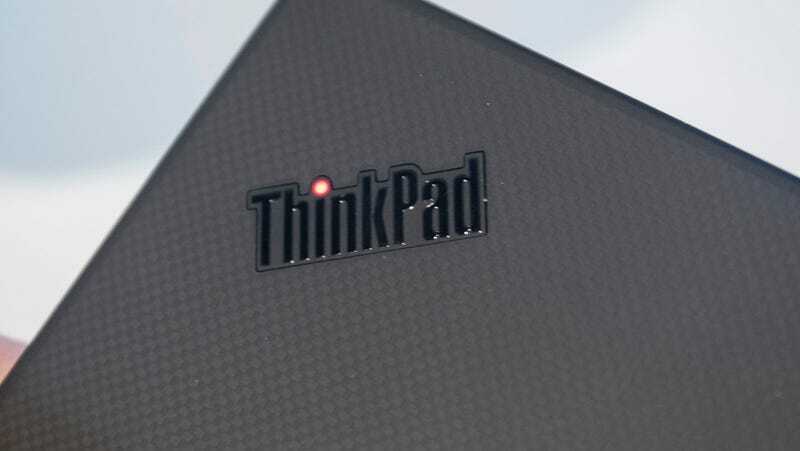 Consumers liked the Yoga Thinkpad X1, but they didn’t like its carbon fibre body and kept asking for aluminium. Lenovo, a company that likes to make money and is the number one seller of business laptops, is naturally going to meet demand. The company is about making money first and beautiful laptops second. 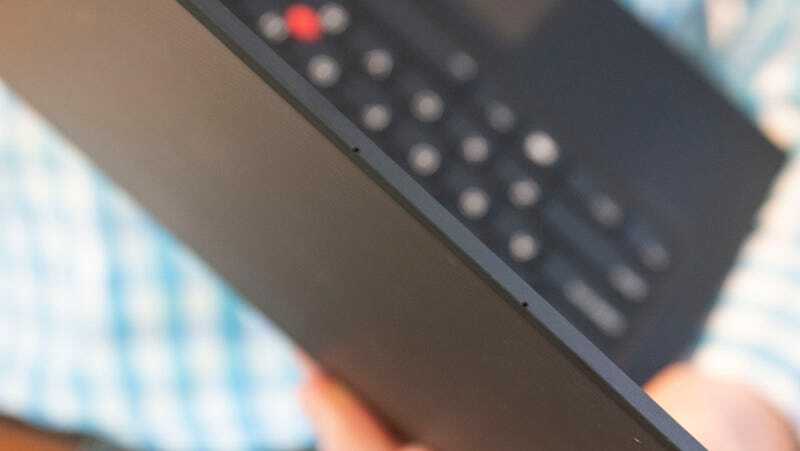 The aluminium Yoga ThinkPad X1 looks very nice and has a lovely aluminium finish, just like all the other Yoga laptops, but when you handle it and then you handle the ThinkPad X1 Carbon, its a no brainer. The Carbon is lighter, and nicer feeling in the hand with that beautiful soft touch coating instead of the cool, boring metallic feel. The now officially superior ThinkPad X1 Carbon. So now we have a Yoga Thinkpad X1 that is heavier and thicker, owing to its all aluminium body. Outside the change in materials, an additional 0.63 pounds in weight versus this year’s Carbon, and the 360-hinge, this ThinkPad is identical to the now superior ThinkPad X1 Carbon. The new version of that laptop maintains its z-height and carbon fibre and magnesium build. So both have the little red nubbin TrackPoint that people are obsessed with, an option of a 400 nit 1080p display or 500 nit 4K display with DolbyVision, Dolby Atmos speakers, and a beautiful retro design that I find very appealing. Both also come with 8GB of RAM, 8th-Gen Intel processors and up to 2TB SSDs. The little security toggle that slides over the webcam, also now slides over the IR camera used for Windows Hello as well. This year’s models also add four far-field microphones along the top of the display for use with Alexa or Cortana, but the microphones, according to Lenovo, have the added benefit of letting you use your laptop for conference calls, capturing much more audio at a higher quality than the typical single microphone. There’s also one minor change to the ThinkPad X1 Carbon. The carbon fibre of the case is now visible (it was painted over previously). It’s almost like someone in Lenovo’s ThinkPad division was annoyed about the move to inferior aluminium in the Yoga ThinkPad and wanted to rub it in. Seems like I’m not the only one a little salty about the aluminium ThinkPad. 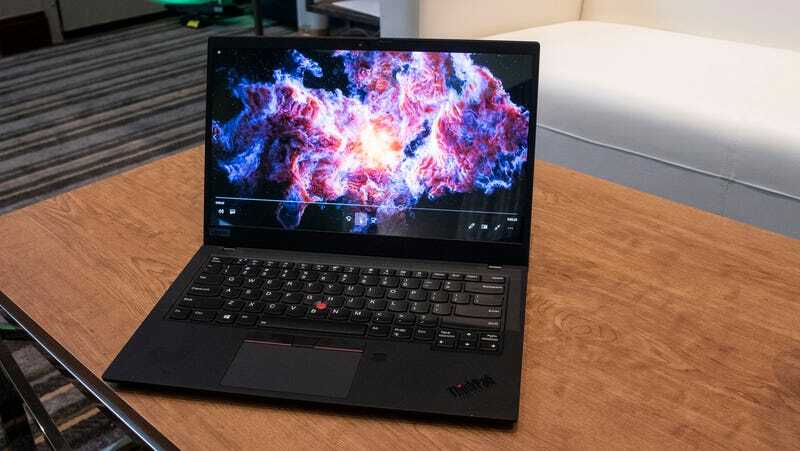 The new X1 Carbon and Yoga ThinkPad will be available in June of this year, with the X1 Carbon starting at $1,709, and the Yoga ThinkPad starting at $1,929. UK pricing TBC.